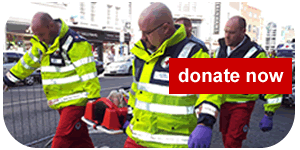 The Irish Red Cross has over two hundred Volunteers and operates seven ambulances across Limerick City and County. We provide first aid cover for hundreds of events each year. We are currently recruiting new Members for this service in the South Limerick region. While people who already hold first aid qualifications such as Occupational First Aid, Emergency First Responder or Emergency Medical Technician are very welcome, the organisation provides full training up to Emergency Medical Technician level for its Members. We are also recruiting Volunteer drivers for our fleet of ambulances. Drivers must be aged 25 years and over and hold a category B license. All Volunteers will be expected to undertake a training programme provided by the Irish Red Cross. Irish Red Cross Volunteers will be available at the old primary school across from the church in Kilmallock to provide information about our services, volunteering and training on Thursday January 18th from 19:30 to 21:30.